More album mash-ups with Gnarls Barkley and the Notorius BIG from Sound Advice. Get it while its hot!! 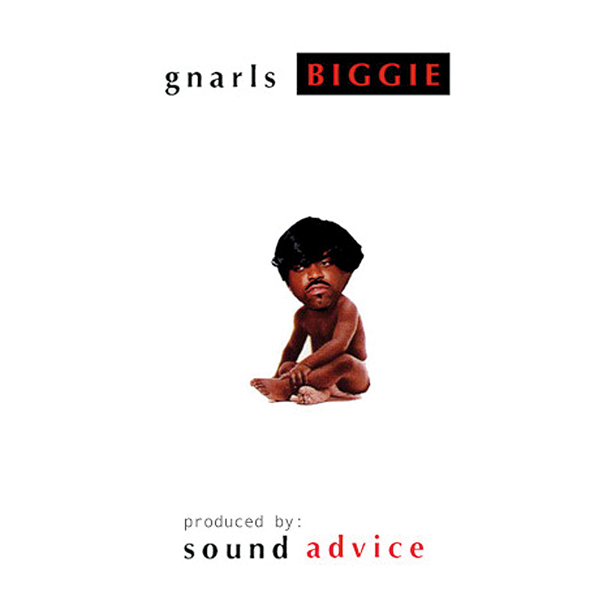 "Gnarls Biggie is an independently released, infringement-laden remix project put together by the increasingly (g)notorious DJ unit, Sound Advice. The disc is filled with chopped Gnarls Barkley tracks, and layered with the timeless lyrics of New York's black Frank White, Biggie Smalls. Completed over the past few weeks, the disc has been repeatedly removed from MySpace, but that hasn't thwarted its creators. If anything it has made them work harder to share their creation with music lovers. Sit back, relax and give it a listen."